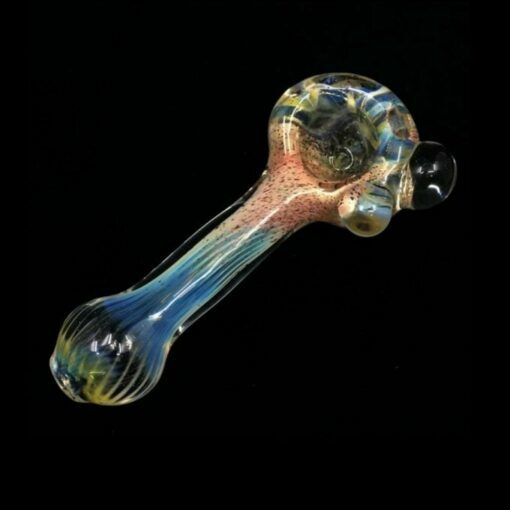 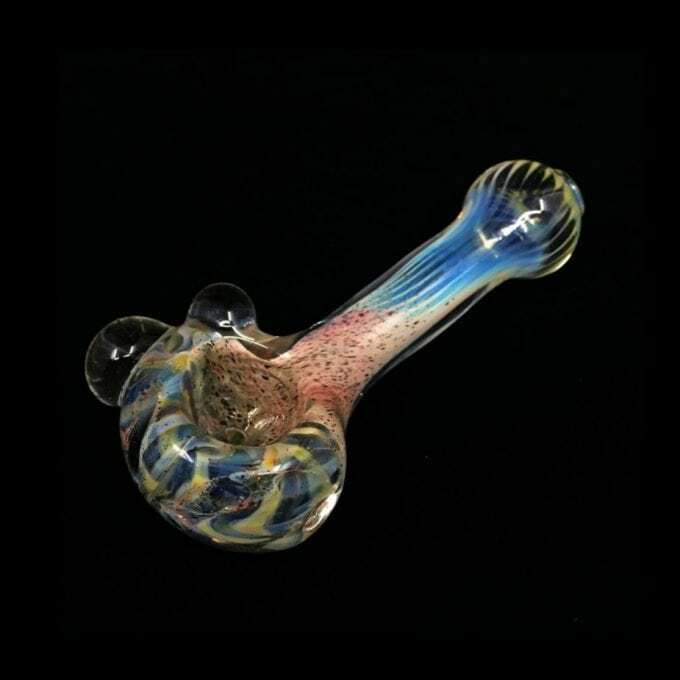 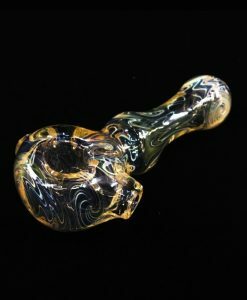 This Thick Glass Fumed Beach Pipe is super chunky and made locally in Rochester, New York! 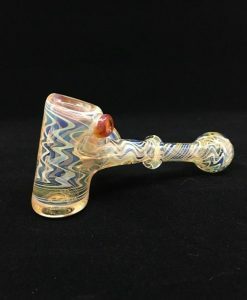 This Thick Glass Fumed Beach Pipe is made locally by SmokeJsGlass, right here in Rochester, New York. 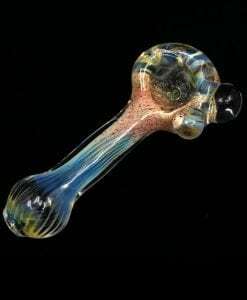 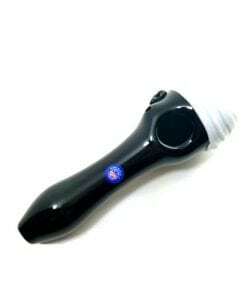 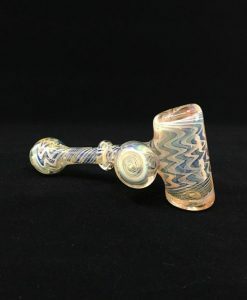 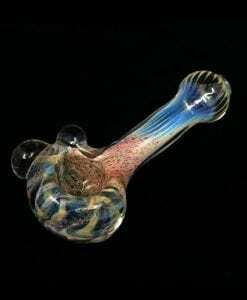 This Glass Pipe is 100% American Made making this pipe completely unique. 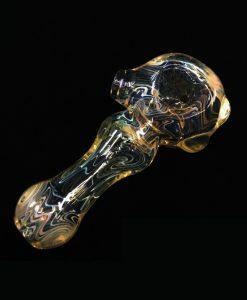 Notable features include: color glass marbles on the bowl head, a chunky glass design and a color changing silver fumed made with pure silver. 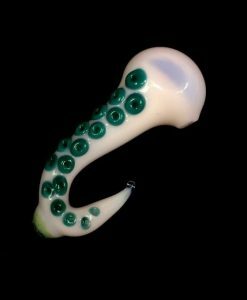 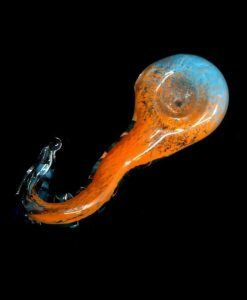 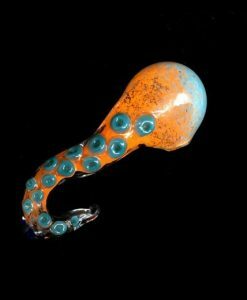 Get yourself a one-of-a-kind glass pipe made right here in the U.S.A and help support local artists.